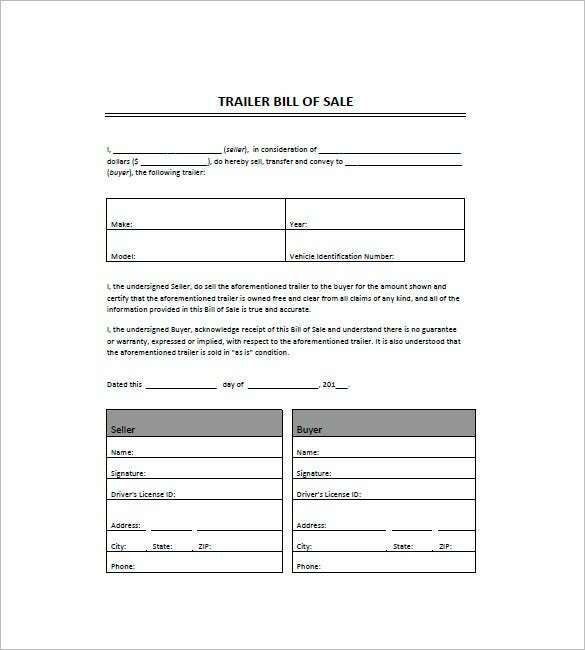 The purpose of trailer bill of sale is to recognize the selling of large transport vehicles known as trucks to the potential buyer most likely business minded people or private companies. 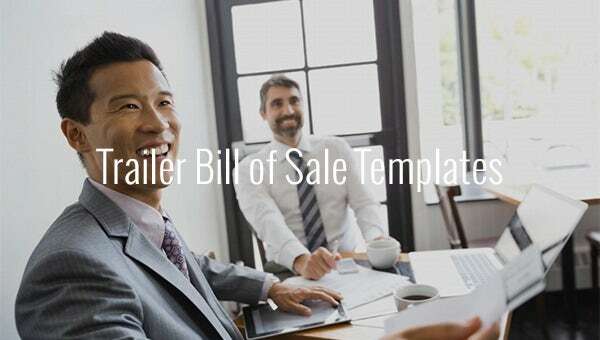 The trailer bill of sale is under the Automobile Bill Of Sale which eventually seen to have a template in the website for easy access, the template provides readymade bill of sale for trailer and other types of vehicle that can be downloaded in a free format via Microsoft Word. 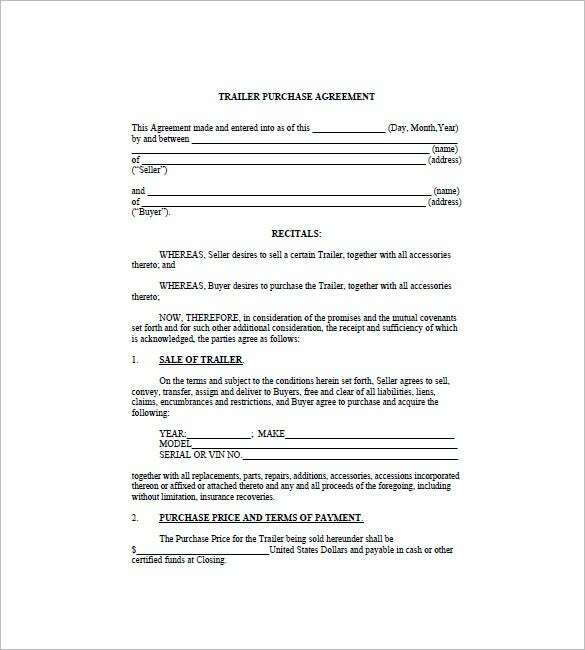 businessformtemplate.com | Trailer Bill of Sale Template is a PDF document that gives a simple and yet detailed contract of sale between the seller and the buyer. The trailer itself is described with all the relevant info such as make, model, year, etc. 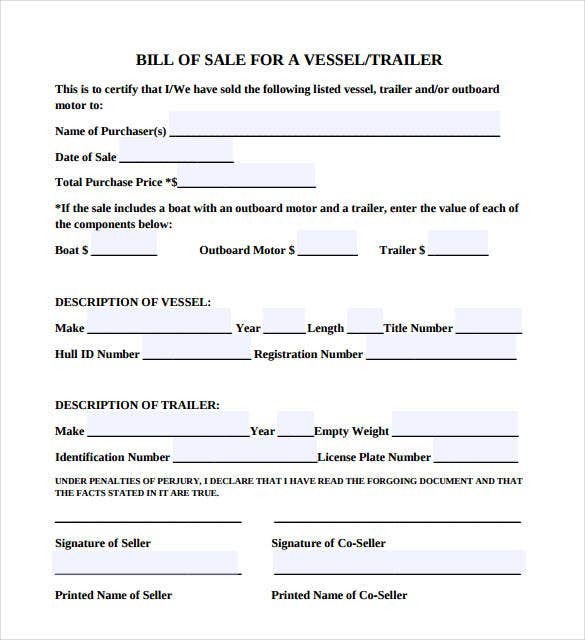 billofsale-form.com | Boat Trailer Bill of Sale Template contains the name and other details of the purchaser, the description of the trailer and a short disclaimer. 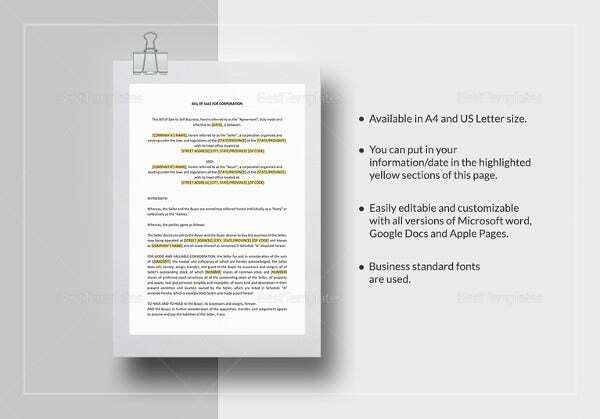 The document is short and the text is kept to a minimum. 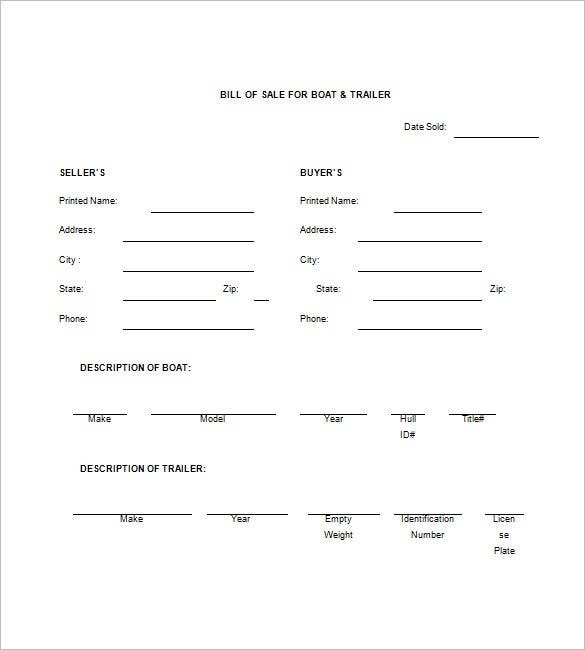 billofsale-template.com | Free Boat Trailer Bill of Sale Template is a basic document that is quite spacious with the seller and buyer details at the top followed by the description of the boat in question. Download now for free. 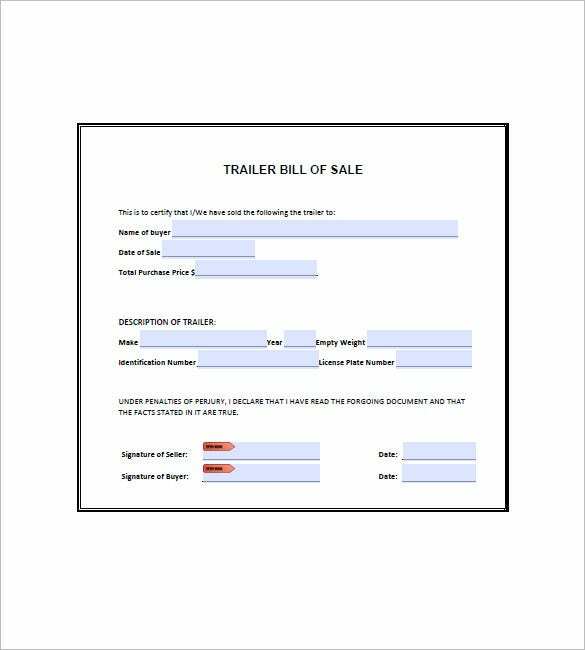 Trailer Bill of Sale Template is a neat document that uses boxes, columns to present the content in an effective way. The seller and buyer details are at the bottom. Download this document for free. 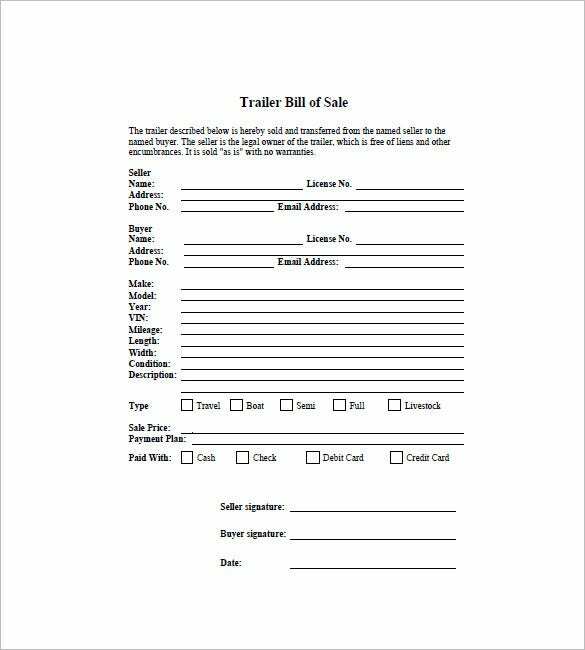 leetc.com | Trailer Bill of Sale Template is a word document that starts of with a statement by the seller followed by the make, year, model and ID of the trailer. The buyer’s statement is at the bottom. 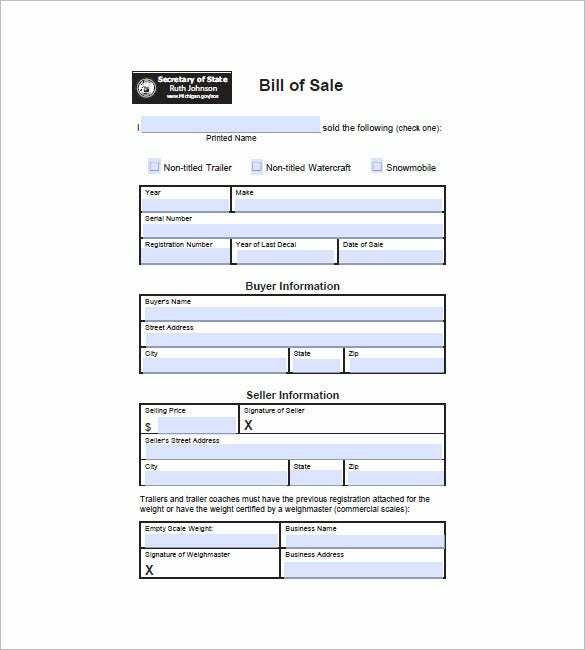 michigan.gov | Trailer Bill of Sale Form is a printable free template that shows most of its content in boxes. The buyer and seller information is brief and does the job. Download now for free. The structure for a good Bill of Sale can be attained with the help of the template tool. 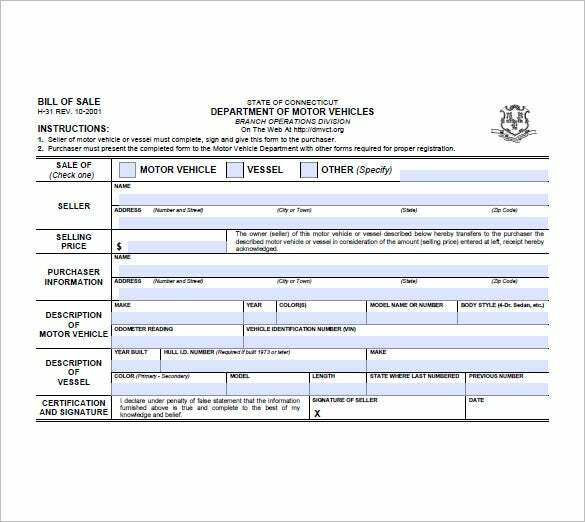 The right format and content details will be highlighted as well as the terms and conditions relating to the type of vehicle purchased. In this manner, it will be convenient and cost saving to have a template for creating a well drafted bill of sale. If you have any DMCA issues on this post, please contact us!